Northern Canada has an enduring mystique in the minds of southern Canadians. Images arise of vast treeless tundra, polar bears, exotic foods and the North’s resilient inhabitants—both Indigenous and later explorers. Offsetting that mystique are reports of grave social problems—youth suicide, hunger and the lack of clean drinking water. 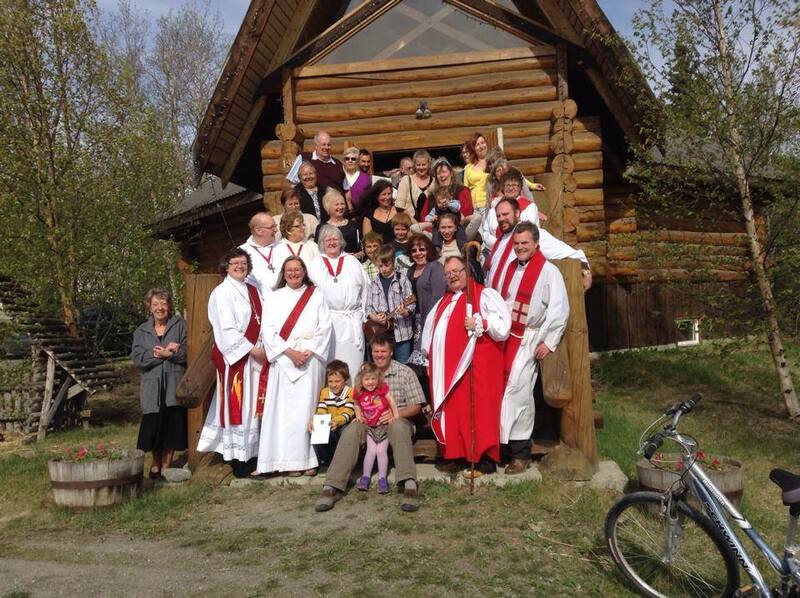 But what is life really like, and what is Anglican ministry really like in northern communities? Comprising 85% of Canada’s geography and only 15% of its population, all dioceses of the Council of the North face isolation, harsh weather and sometimes unreliable communications networks. Add to that the continuing effects of poverty in many areas, and the legacy of the residential school system—and you have a very high level of pastoral needs. The Council of the North includes the dioceses of Caledonia, Yukon, Athabasca, Saskatchewan, Brandon, Moosonee, the Arctic, The Territory of the People and the Indigenous Spiritual Ministry of Mishamikoweesh. Study Module #2 has a special focus on the work of non-stipendiary priests. Taking as its theme a passage from Paul’s letter to the Corinthians, we learn about a husband-and-wife team of non-stipendiary priests on Sagkeeng First Nation, MB. The Reverends Richard and Nancy Bruyere have day jobs, but they also minister tirelessly to the sick and the dying and all those in need in their community. Richard says, “We get called to Winnipeg and we go pray for people in the hospital and it is challenging … but it’s also very rewarding.” “But we have this treasure in jars of clay, to show that the surpassing power belongs to God and not to us” (2 Cor. 4:7). As Richard and Nancy travel, they carry with them a treasure—the message of God’s love and hope. And they know that God’s surpassing power is working through them. 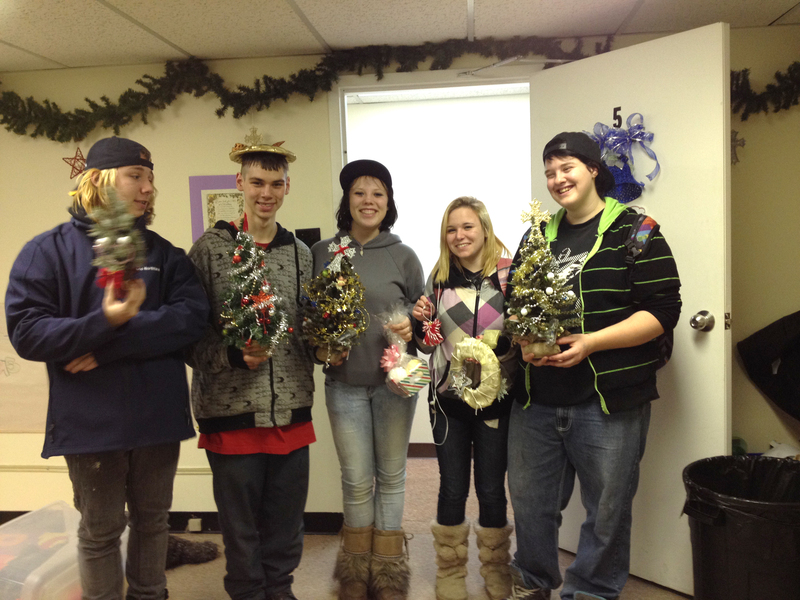 Youth in the Diocese of Moosonee gather in “The LivingRoom” community centre in Schumacher, Ontario. Richard and Nancy’s story is just one of many northern stories that have been chosen in order to inspire fellow Anglicans to intensify their prayers and their support for those who serve in the North. But this Bible Study is designed not only to strengthen southern support for the Council, but to enrich the ministry and faith of southern parishes using the Study. Archbishop Fred Hiltz, Primate of the Anglican Church of Canada, has called the Council of the North a “laboratory of experimentation in mission.” At the Council of the North 2015 annual meeting, the Primate commented that looking across the church at changing patterns of ministry, the church as a whole can point to the Council of the North for its leadership. And indeed, ministry in the Council of the North, in spite of—or perhaps because of—its particular challenges, is marked by a mission-minded approach, ecumenical co-operation and a spirit of flexibility and innovation. To help participants relate their learning to their own lives and parishes, each session includes discussion questions. The sessions include, Mission and Service: Standing in solidarity, seeing lives transformed; Seeking the Kingdom: Trust and treasure; Removing Barriers: Finding Healing in Jesus; and Partnership: Deepening our fellowship in Christ. To download or order colour copies of this free Bible Study resource, please visit here. Produced by Hauser Communications; Stories written by Sharon Dewey Hetke.